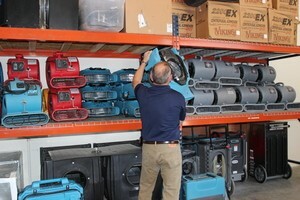 Homeowners in Gallatin can feel safe knowing that when the water damage professionals at 911 Restoration of Middle Tennessee arrive at their home they will begin implementing fast and efficient water damage remediation services. The Gallatin water removal pros know that when a pipe bursts or a roof leaks they need to be available around the clock to help mitigate the situation. 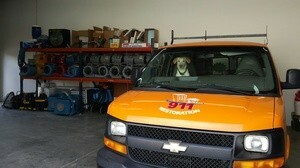 In order to facilitate this, we keep our offices available 24/7/365. The entire Gallatin water damage team is licensed, bonded and insured in order to protect all parties involved in the home restoration process. Our Gallatin staff will send water removal techs to your home in under an hour, because we never want any of our customers to have to wait long for help, no matter where you are located or what time of night it is. When floodwater is left untreated, then the moisture can create the perfect environment for mold to start growing. If there are mold spores in the home, then adding water to them will cause them to grow almost immediately. This is why it is important for the Gallatin water extraction unit to immediately get to work pumping out water. We use advanced water extraction and drying equipment, so the Gallatin leak repair experts will remove all mold, mildew and fungus from your property. Our staff offers free visual mold inspections and free home estimates, so homeowners can call the Gallatin flood remediation agents risk-free whenever they need help with a water situation. We offer competitive prices and work with all major insurance companies, submitting all the necessary paperwork to get your claim in at the lowest possible rate. This allows us to continuously be of service to you, especially when we guarantee that we will be at your residence within 45 minutes of receiving your urgent call. With over 35 years of experience, the Gallatin flood removal crew has been in the home restoration industry for almost four decades, making us the best in the business. 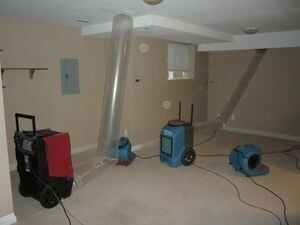 Water damage is our forte, even though we are thoroughly trained in all areas of remediation. If water damage invades you home call the water damage Gallatin extraction specialists with 911 Restoration Middle Tennessee for fast, efficient restoration services today!